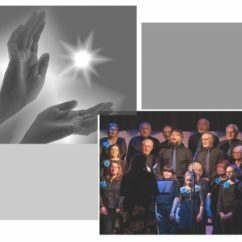 The Abbeydale Singers, led by Musical Director, Kevin Haighton, currently has a membership of 34 voices and is well established as one of Yorkshire's foremost mixed voice chamber choirs. 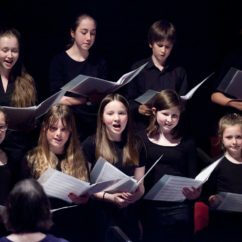 The choir has a reputation for outstanding singing and enthusiastic engagement with its audiences. Its repertoire is wide, ranging from renaissance motets to contemporary choral pieces. 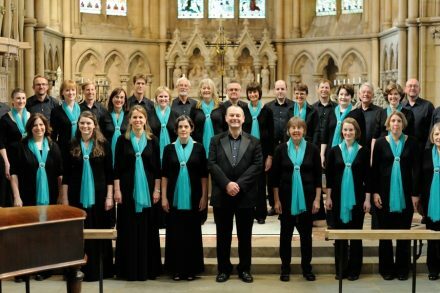 Formed by friends in Sheffield during 1986, the choir soon established a modus operandi with around 12 singers, able to accomplish at least eight part choral works for mixed voices. The choir has gradually expanded to our current size of 34 members, giving an excellent balance between younger and more experienced voices. The choir gives two major concerts each year, one in the summer and the other at Christmas. It also has a strong commitment to the development of young musicians in the region, and through these concerts has provided a platform to young soloists, many of whom have gone onto successful musical careers. The choir is available for formal and informal occasions, both indoor and outdoor - please get in touch to book the choir for your event.